One of the few pleasures of being a commuter into central London from a leafy suburb has long been the delicious aroma from the Costa roasters in the shadow of Waterloo station. Even though Costa has developed into a global coffee brand available in 32 countries, including China, knowing the beans are processed in south London has meant a degree of authenticity missing from over-roasted Starbucks beans. 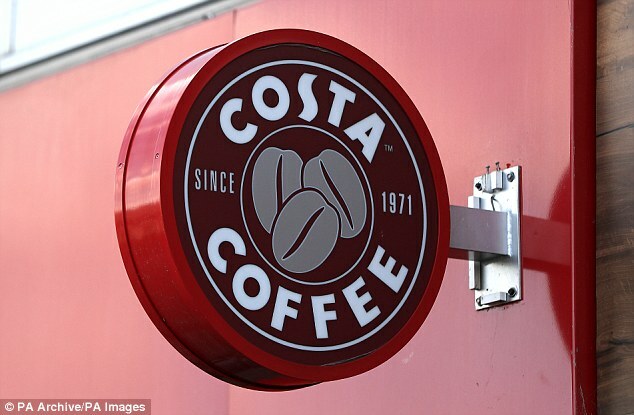 There is a certain irony that the £3.9billion purchase of Costa, out of parent Whitbread, was brewed up by chief executive Alison Brittain during a coffee break in the Starbucks home town of Seattle. We shouldn’t be too surprised that the buyer is Coca-Cola. The sugary fizzy drinks industry is in a bad way amid the obesity epidemic in prosperous democracies, and it is in search of new products to fill the gaps in the distribution network. Pepsi recently opted for Israel-based Sodastream and Coke first swigged Innocent, the UK maker of fruit smoothies, and now sees a future in coffee. It may be billed as Coke’s first move into hot drinks but what the Costa deal really is about is filling 10m automatic dispensers worldwide with a caffeine alternative. In a week in which caffeine-fuelled high-energy drinks have been given the thumbs down by a nannying British government, it may seem like an odd choice. Whitbread investors are not going to complain. An exercise which began with the company seeking to satisfy active investors Sachem Head and Elliott by demerging Costa into a separate enterprise and spinning it off to existing shareholders, has ended up with a sale at a nice premium. It was only 24 hours earlier that the Sage of Omaha, Warren Buffett, was reflecting on the fact that he was not prepared to buy great brands such as Campbell Soup at present because the premium was too high. Better value for his investors to simply hold the shares. Coke’s British chief executive James Quincey has made all the appropriate noises about commitment to Costa coffee shops, jobs for baristas and keeping roasteries open. No doubt Quincey is a great patriot and a fun guy, but as Costa is a subsidiary of Whitbread, none of the pledges are legally enforceable as they would be under Takeover Panel rules. There must be real questions as to whether Coca-Cola will be so enthusiastic about running coffee shops, as opposed to brewing and chilling cappuccinos once it has turned Costa into a global cold drinks brand. The history of global behemoths buying quality British brands is not entirely happy. The sale of Body Shop to L’Oreal flopped. McDonald’s flirtation with the UK’s Pret a Manger was short lived. Aussie owners Bunnings made a dogs dinner of Homebase. My favourite breakfast eaterie Le Pain Quotidien was bought by US owners who imposed ‘productivity targets’ on devoted staff. Most left along with the customers. What is a terrific development for Whitbread investors (even Elliott’s Gordon Singer was joyous), pensioners and future investment in Premier Inn may be less enchanting for Costa staff. The collective executive class at Whitbread and Costa won’t mind. They have been protected with some enriching incentive bonuses. It was always thus. The outbreak of scallop wars this week could not but bring to mind the golfing mad, disgraced former boss of Royal Bank of Scotland Fred Goodwin. I am reliably told he is still the group’s most costly pensioner despite being bullied into taking a cut in the wake of the financial crisis. Goodwin took umbrage and started a legal action when a diary column reported that he had ordered the construction of a special ‘scallop’ kitchen close to his football field-sized office at Gogarburn on the outskirts of Edinburgh. It later emerged that there was no scallop kitchen as such. But the ever fastidious Goodwin had demanded an executive kitchen that was sufficiently close to his desk so the scallops could be delivered at precisely the right temperature to ensure the flavour was at its most subtle. Among Goodwin’s other eccentricities was an RBS single malt in designer bottles, domed filing cabinets so documents could not be stacked on them and a fleet of BMW limousines with the RBS logo stamped through them. This, as Gordon Brown was to observe, made the cars tricky to sell. How we all miss such delusions of grandeur.